In mid-2008, David Fotland started competing with experimental Monte Carlo and multiprocessing versions of Many Faces, while making use of Many Faces' extensive Go knowledge. It also plays on KGS as ManyFaces, maintaining a rank of about 2 dan, as of May 2011. It has proved comparable in strength to the other recent MC players, such as MoGo and CrazyStone. Many Faces won the gold medals in both the 2008 Computer Olympiad competitions, ahead of MoGo, Leela, and others. Myeong-Wan Kim, 8P gave a 7 stone handicap and defeated MFOG v12 on a 32-core processor at the 2009 US Go Congress. "It behaved more like a human, while MoGo was pure computer and very unpredictable. It was easier to play Many Faces -- though it may be the stronger program -- because I could predict what it was going to do. Many Faces made better shape, but MoGo had better reading," said Kim according to the AGA E-Journal here. Many Faces of Go was used for the Shodan Go Bet against John Tromp, where it lost 4-0. Many Faces of Go is also sold as AI IGO. A free 9x9 only version is distributed as Igowin. In Japan, there is also a version for the NintendoDS (available here: http://www.play-asia.com/paOS-13-71-9g-47-froogle-70-16z6.html). The demo is time-limited, and can be unlocked by returning to the trading centre to purchase an unlock key. Version 12 of Many Faces with the 2008 MC engine is available for free trial download and purchase for Windows (or Mac/Linux with Wine) from smart-games.com. It requires a registration code for copy protection but is licensed for all the computers the purchaser uses.  Version 11 of Many Faces of Go can be found on the Computer Go Server as mfgo-11. Many Faces has many extra features missing from other Go programs. It has a joseki dictionary that you can use for reference or to test your knowledge, with about 60,000 moves. It has a very good game editor that understands both .sgf and .go (Ishi) formats. You can easily add or remove variations, or insert missing moves, or even move stones that are on the wrong point. It has a great tutorial for beginners and includes all of the Go problems from Graded Go Problems Vol 1. And it has the best, most realistic graphics. A strong Go playing program that was 2002 World Computer Go Champion, 1998 World Computer Go Champion, and ten time US Computer Go Champion. Its strength can be tuned from level 1 to level 10. All board sizes from 7x7 to 19x19 are supported. Many Faces plays fairly quickly, even at the level 10 maximum, so that you are almost never waiting on it. In simple tactical positions it will often respond almost instantly. Excellent SGF editing functionality, with easy commenting, annotation, and addition of variations. Going through commented games is similarly easy, as you can press shift down arrow to skip ahead to the next comment or variation. Both .sgf and .go file formats are supported. No game database per se, but a large number of games are included: 391 commented pro games, another 1369 uncommented pro games, and 1218 commented games from the Go Teaching Ladder. Two Fuseki libraries: one collected from about 5700 pro games and another that additionally includes opening moves from around 29,000 strong amateur games. At each stage of the Fuseki it will display the overall winning percentage for those who played that move, and the rank of the strongest player to use it. A hand-crafted Joseki database with around 45,000 moves (I'm unsure if this includes duplicates for different orientations). The fact that it is hand-crafted distinguishes it from Joseki study in other packages, which is both good and bad. Certain moves in the database are categorized as "bad move" or "trick play", when appropriate. Over 2000 Go problems at all difficulty levels from 30 kyu on up, including all problems from Graded Go Problems For Beginners Vol. 1. While solving problems, it will automatically keep track of how often you're missing problems and adjust the difficulty accordingly when selecting the next problem to solve. The problems are also shown in random orientations. There's an option to check for and download new problems from the Internet, but... I've never seen any new problems posted in the past three years and am not really expecting to see any in the future. A life and death problem solving mode ("Computer Solves Problem"), where you can specify a group of stones in a position and have it solve for their life or death. Variations are added to the game record for each position analyzed, along with the chances of success in that variation. Many Faces of Go was my primary SGF editor for a long time as it is very capable in that respect, but I have lately preferred the freeware MultiGo software. One area Many Faces of Go beats out all other packages I've tried though is in game scoring, where it shows remarkable ability for correctly marking live and dead groups without user input. Only rarely do I have to correct mistakes in its life and death evaluation for game scoring, which is very convenient. I also use the problem solving mode quite often. The only weakness I've noticed with this is that there is no way to go through all problems at a given difficulty level, sequentially or otherwise, if for example you'd like to start at the bottom and work your way up rather than letting it select problems for you from different difficulty levels. The "Computer Solves Problem" mode has also been highly useful for analyzing positions from games where I feel like there's a possibility that a group can be forcefully killed (or made to live), but I'm having difficulty finding the sequence to do it. Many Faces of Go is a well crafted, mature software package that I have never had a single problem with, have been using for years, and can highly recommend to anyone. Other software will exceed it in certain areas, but the overall package is a good value. The price is $90 currently, and can be purchased directly from Smart Games or any of its distributors. The most direct competitor to Many Faces of Go is likely the competitively priced SmartGo:Combo package, which covers a similarly wide range of areas. Igowin, a 9x9 only version of Many Faces of Go, is also available as a free download (and demo of the full package). I think Many Face is a great program for beginners to 10ish kyu. Great all around program. There may be better programs for 1 specific application, but as a suite it is wonderful. Joseki Tutor, Includes joseki, near-joseki, trick plays, and responses to many bad moves. I have MFG version 10, and it's a very good way of learning to play the game, offering a tireless and patient opponent. I currently have it on level 10 and give it 3-4 stones, but now the cracks are beginning to show ... well not really cracks ... more things that I've realised about go. Many Faces seems to be good at building influence, and life & death - it still wriggles out from me occaisionally - but perhaps I'm overattacking. It doesn't do too well at using the influence it's built. I think it has a better editor than the other playing programs I've used, but I still prefer CGoban2 for editing and viewing games - I like the tree view which I find intuitive. Though CGoban2 doesn't handle .go files. I don't know much about version 11, but might be looking into an upgrade soon. BTW I started playing go when I downloaded IgoWin this (together with Charles's "Play the Game" book) was an excellent introduction to the game. I have had a number of tussles with MFoG 11, and find it to be effective at exploiting weaknesses in shape around the edges. I am normally disappointed to lose against the engine at level 10, but tend to win only by between 5 and 20 points on an even game with Komi. It has very good support for different rulesets, handicap stones (up to over 20 stones) and different board sizes. It also has an excellent life and death problem section, a comprehensive joseki study section (though I haven't compared this to http://www.joseki.com), and has a good library of professional games to view through, include a number with comments. All in all, an excellent piece of software to add to your go collection up to probably mid-range single digit kyu, and probably the second strongest Go engine I've had the fun of playing (behind Go Plus Plus, which I would estimate is only between one and two stones stronger). I did a videoreview about this software, so that you can see how many faces of go works directly. You can watch the video here: MFoG videoreview at Alejo's Tenuki I think that an image is worth more than 100 words. As you can see on the video, MFoG isn't a bad program at all, but it isn't appropiate for serious study of go, mainly because there isn't a pattern search engine (one of the main tools for proper study). It's a really good program, but the Version 12 copy protection is annoying. It needs a code for a generated hardware ID, so after each windows reinstall oder hardware change you need a new code. It's hurting the honest user and does not prevent people to create keygens for cracking it. I've decided not to buy it for this reason and I am sticking with GnuGo for now. petri Mailing your details to vendor every now and then is a problem? Takes full 10 seconds of your life. And is lot stronger than gnu go. -Gnugo 3.8 is really weak, I could beat it with white after playing go 3 weeks. There really isn't any point in playing a computer program weaker than you, because you just need to use the same weaknesses again and again to win, so you don't progress. If you don't want to pay (do you really change computer so often that it can be a problem ??? ), use Fuego that is probably 4 stones stronger than Gnugo. I'll buy Many Faces as soon as I am stronger than Fuego (2 stones to go). Having to ask a new code every year cannot seriously be considered a problem if you care at all about go, and such a strong program is worth the money.